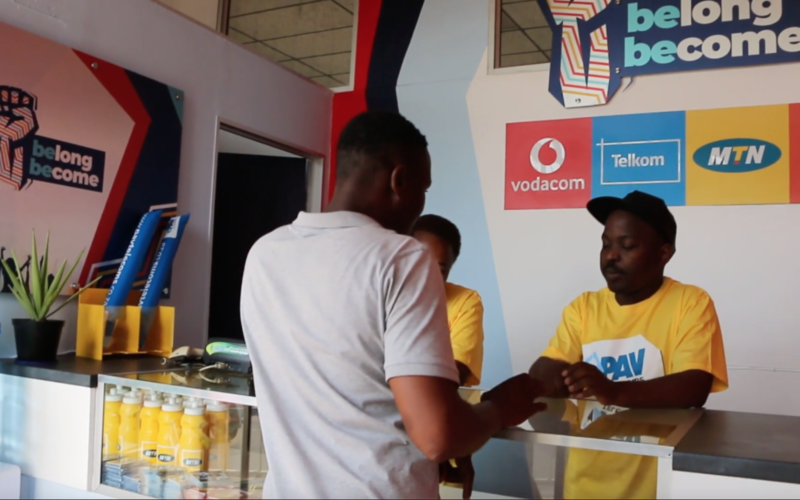 PAV Telecoms provides real opportunities to real people. Here are the stories of 2 people that have seen the fruits of being and PAV Agent and have climbed to the top to become PAV Place Owners. 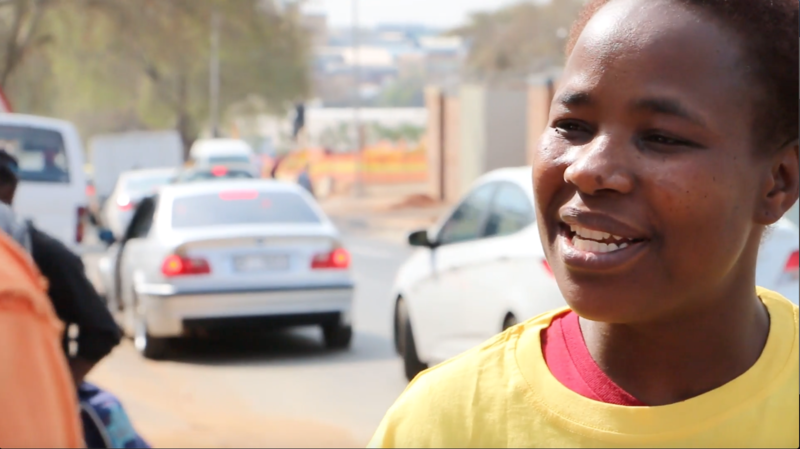 My name is Precious Mavuya.I can only describe myself as ambitious. I was nineteen years old when I had my first paying job and that was in 1992.Which is 26 years ago. Growing up I wanted to be my own boss , provide my own cheque and be the best entreprenuer as I can.As an entreprenuer you must always look careful for opportunities and that is what I did and I saw the opportunity and seized it and start the business. I am motivated with various things but what remains outstanding in me is having a stronger desire for success and building a successful business empire. When I first joined the industry I did worked for various companies like Smartcall, Second cell to mention a few and I even deregister myself from PAV. I almost give up due to false promises which I get from other companies in form of financial and none financial incentives.I only never give up when I realised that PAV is home and I come back and re-register in 2014 as all my promises were fulfilled and here I am proud to be PAV family. Simcards industry business can be demanding but due to the advancement of technology whereby people have moved into cellphone world, where internet can be accessed on your phone, computer and for that phone to be connected you need the simcard and hence it was an easy decision to start the business. It is also one of the fastest growing industries in South Africa whereby about R40billion is generated. Zonke do help the community through employment creation from all people of walks of life by recruiting them to be rica agents and by bring the product nearer to them.My advice to someone about to start out is ,’When you know what you want, you will find a way to get’. Perseverence and commitment is required. I did choose PAV through their fairness policy , financial and non financial incentives are above all. It is a company which take cares of the sheep, unwavering support in good and bad times and their willing to lift another person to be like them and provide what is required to build bigger business. Today I have a hub and a car through PAV and these are the results for PAV.I appreciate you being friends and stand with the smaller friend in needy who wants to shine. Your success is my success. I am capable of fitting to a particular situation, as we operate in the world where risk is associated with business.I do budget, remain revelant and monitor changes in markets and are some of the things which takes me through worst times. My responsibility as business operator is to make sure I deliver the promises , lead the team surrounding me to the right direction. Managing and implementation of the vision, satisfying customer needs and wants and looking possible ways of growing the business and maintaining good relations with the supplier. 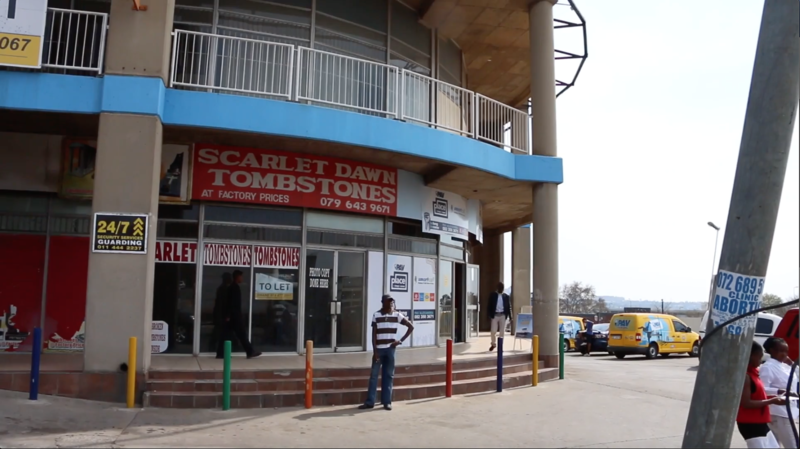 I started as a rica agent 8 years ago and I was trained with Daniel Molefe who used to own a hub in Dobosonville, Soweto. I was his best activator hence he promoted me to manage agents in Johannesburg cbd and from there companies started to approach me and a dream was realized and I become my own boss. How did you get your idea or concert for the business? I always had a bigger picture of this business growing and investigating in myself. So when PAV gave us a quite a number of opportunities, I grabbed them with my both hands and I never looked back. That was real empowerment, I had no capital for the business, only ideas and PAV came to my rescue. Can you tell me about a time when you almost gave up, how you felt about that and what you did instead of giving up? It was pretty tough in the industry; no support from the company I worked for, the income could barely cover for my basic needs like rent, food, clothing’s etc. All they did was making demands and giving us loads of work but never listened to our grievancies. I felt very much unappreciated, unworthy and used. I felt discouraged, helpless and losing all the energy I had. I’m a very positive person, so I always stayed positive even facing hardships, I don’t rush to making decisions. So instead of giving up, I had to sit down and think of plan B which is greener pastures and exploring other opportunities in the industry using my experience I had gained. That’s when I was introduced to PAV by a good friend. What made you choose this type of business? Answer: To be honest, in the beginning it was just work to put the food on the table, until I learnt everything in the industry that motivated me to be business minded and motivated. Does your company help the community where it’s located? Very much helpful, we provide jobs for the unemployed youth; we provide services at their doorstep like payphone, airtime, electricity, sim cards, photocopying, printing etc. 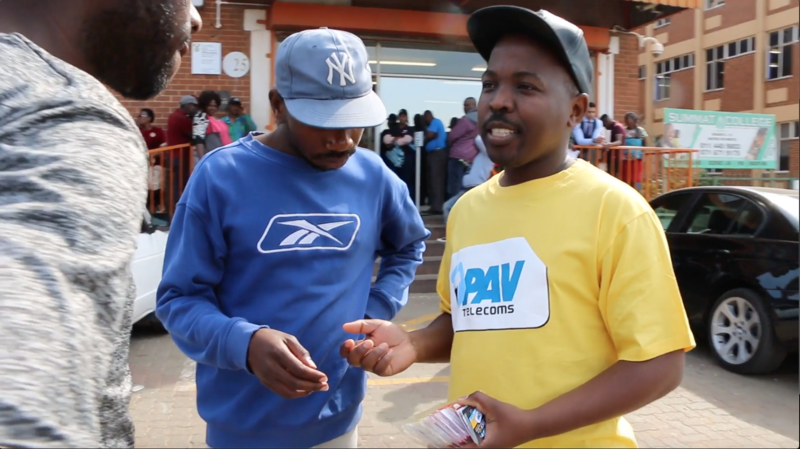 Everyone in the community willing to change his / her life is welcomed to do so by simply joining the winning team PAV. It’s not going to be a walk in the park, but with passion and perseverance, you will definitely going to enjoy the fruits of your hard work. Bad days are part of our day to day living, but being optimistic makes worst times easier as I know there is always a light at the end of the tunnel. 10. Why did you choose PAV above all other competitors? I chose PAV simply because their incentives are fairly better and attractive, e.g. If you are a dealer, you get paid activation commission and also receive rica promotional commission as a rica agent if you did rica and activated. That’s an offer that no other company has ever offered anyone. I choose PAV because I saw the opportunities they offer from rica traders to micro dealers,reps, dealers. Always I lead by example, represent the company I work for with dignity and hard work. Supplying the market, looking for gaps in the market for the product I sell. Improving and pushing for better outcome in huge numbers. How did you start out in the simcard distribution industry? I started at a certain company back in 2012, I was introduced by a friend. How many people do you assist in making money by distributing simcards? Quite a lot,actually dozens of people because every day I recruit at least 2 new members.